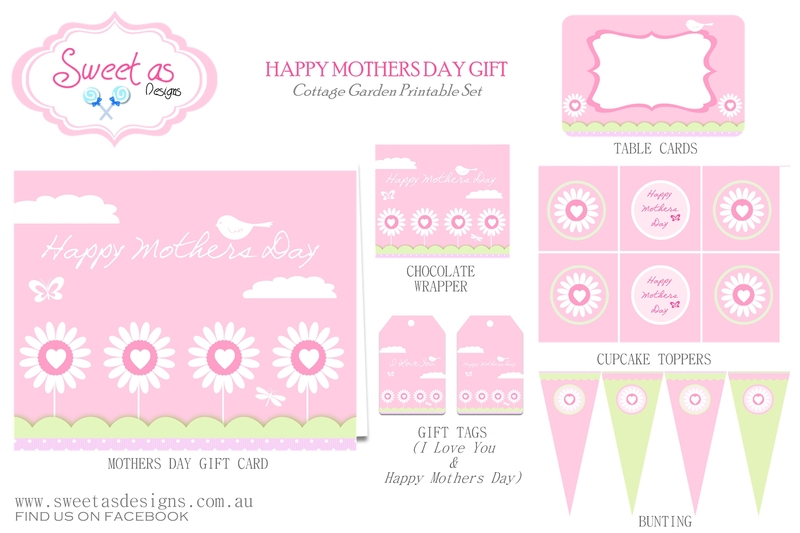 Haley from Sweet as Designs contacted me about giving away this adorable collection of "Cottage Garden" Mother's Day printables. When I saw how cute they were I jumped at the chance! The collection includes: cupcake toppers, Mother's Day gift cards, chocolate bar wrappers, table cards, gift tags, and bunting. Thank you, Sweet as Designs, for offering these delightful printables to our readers. These are so nice. Thanks so much for sharing them.